Impress your friends and family with these remarkable facts and startling truths about the one and only Norway. The fjords, mountains and northern lights of Norway are known throughout the world, but how much do you really know about this Scandinavian country? 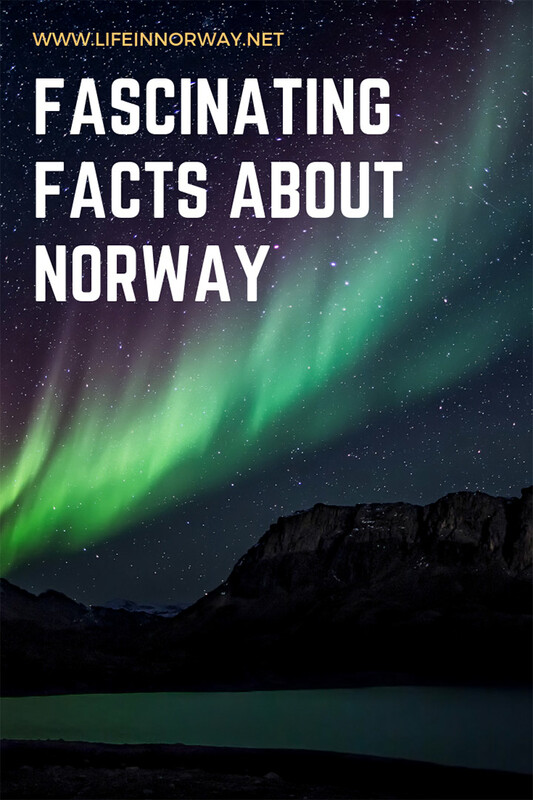 Whether you're preparing for a quiz night or you just want to impress your friends with some random knowledge, these Norway facts are just what you need! 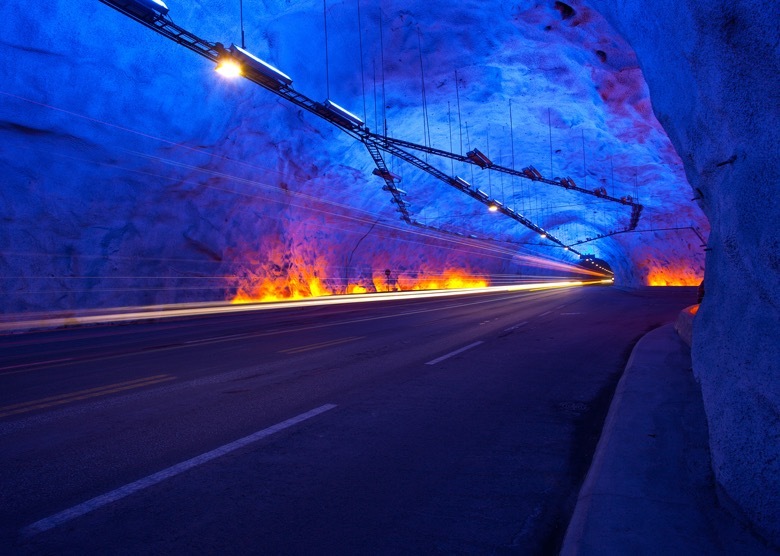 At an astonishing 15 miles (24.5 km) long, the Lærdal Tunnel is the world’s longest. Costing 1 billion Norwegian kroner to build (that's about USD $113 million) the tunnel connects the small communities of Lærdal and Aurland. Its design is admired all around the world, as it incorporates features to help manage the mental strain on drivers. Every 6km there is a cave to separate sections of road. The lighting varies throughout the tunnel and caves to break routine and provide a varied view. The Norwegian capital has been the proud venue of the Nobel Peace Prize ceremony every year (with just a few exceptions) since 1901. The other Nobel prizes in Chemistry, Literature, Physics and Physiology or Medicine take are awarded in Stockholm, Sweden. 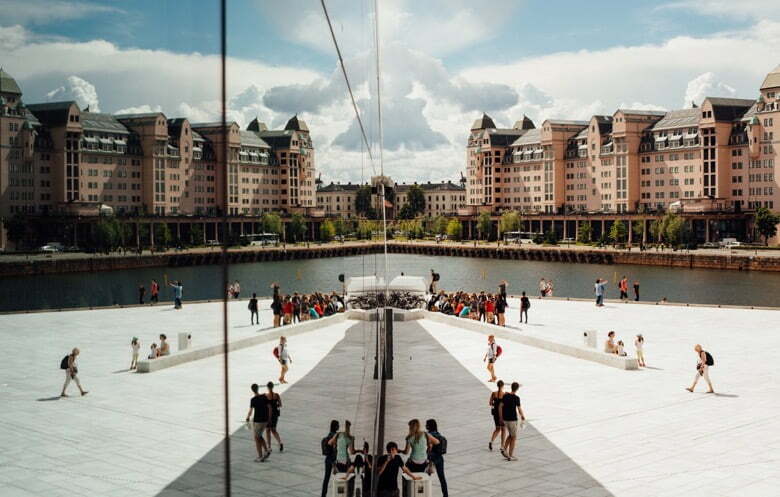 Located between the City Hall and the Aker Brygge development, the Nobel Peace Centre chronicles the fascinating history of the award, and usually has a special exhibition on the current holder of the prize. It opened in 2005. 3. 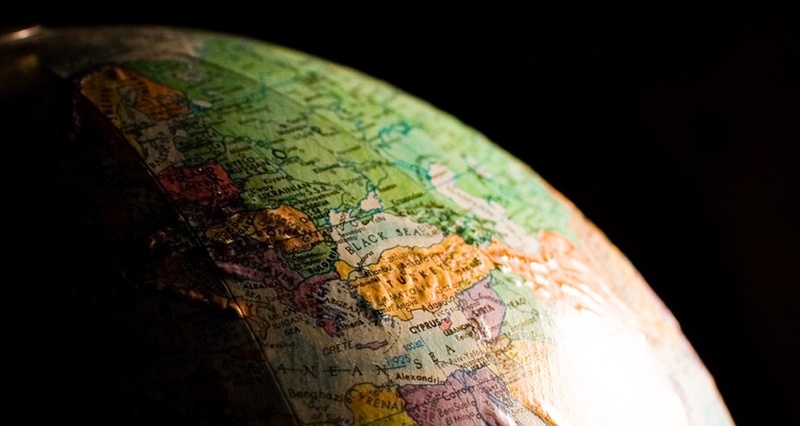 Norway owns the world's most remote island, on the other side of the world! Administered by Norway since 1929, Bouvet Island in the South Atlantic Ocean is Planet Earth's most remote island. It is located approximately 1,700km north of the coastline of Antarctica and 2,600km away from the South African coast. The closest inhabited land is the British overseas territory of Tristan da Cunha, more than 2,000km away. Norway designated the 49km² island and its territorial waters a nature reserve in the 1970s. While no-one lives on the island, Norwegian authorities do maintain an (unmanned) weather station. This one had me scratching my head and checking a map when I first moved to Norway. 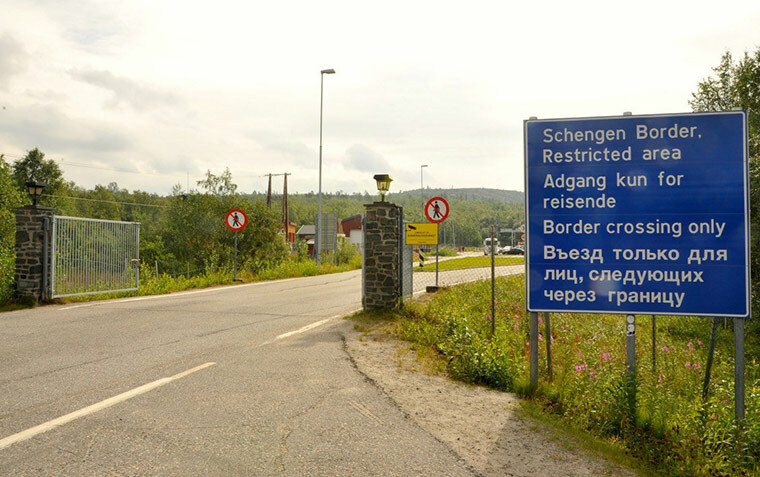 Although there is just one road crossing, the Norway-Russia land border is actually 120 miles long! The Storskog crossing on the E105 highway is the northernmost road border crossing in Europe. In September 2017, a new tunnel and bridge opened on the Norway side of the border. Much of the border is defined by a river and cuts through dense forest for the majority of the route. Distinctive posts coloured bright yellow on the Norway side and red-green striped on the Russian side mark the border. It's important to pay attention if you're out hiking in these remote areas, because taking even a couple of steps to encircle the posts is illegal. In fact, the small Arctic town is as far east as Cairo. Don't believe us? Check that map again! 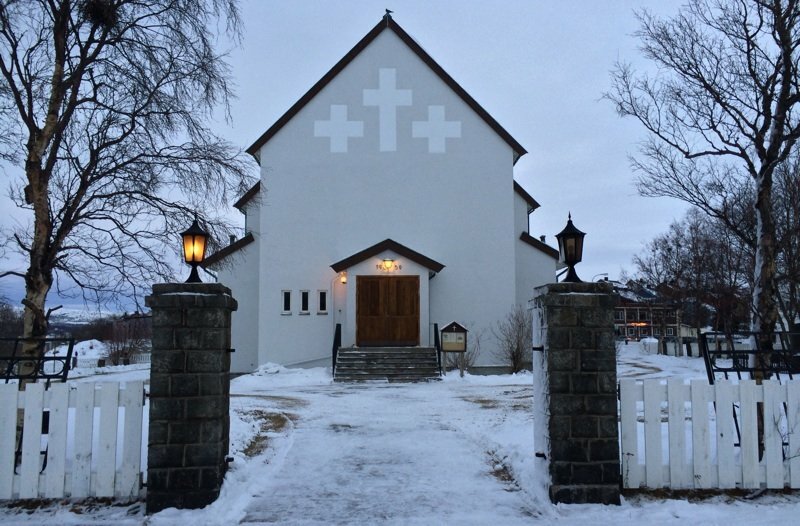 At only 9 miles (15 km) from the Russian border, Kirkenes is one of Norway's most interesting places from a social perspective. As it's so close to the border, there is a big Russian influence with bilingual street signs and shops advertising offers and deals primarily to Russian visitors. Because of the number of visitors, English is very much a third language in this small town. 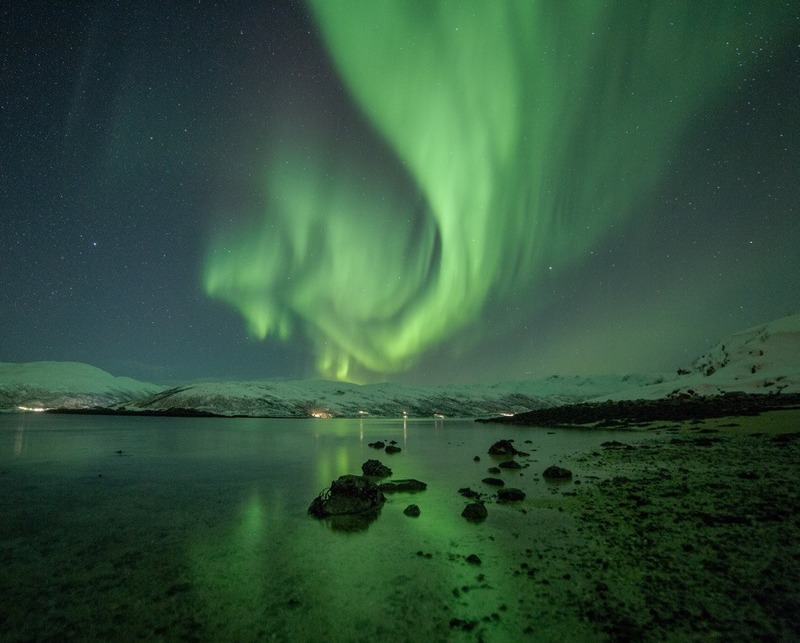 Most international visitors have heard of the name because Kirkenes is the point at which the Hurtigruten coastal ferry “turns around” to continue its epic multi-day voyage back to Bergen. Most international visitors continuing their journey on board have around three hours to explore the city. Attractions of note include a World War II bunker that's open to visitors by prior arrangement, and the Borderlands museum, part of Varanger museum. Yes, really! A little over one thousand Norwegians can say they live in Hell. The small village is within walking distance of Trondheim's international airport and even has its own train station. The train station is in itself something of a tourist attraction. Several times I've spotted tourists snapping a photo of themselves in front of the station sign! But there're more to Hell than just the name. Take a short walk from the station via a signed forest trial and you'll find some crude reindeer rock carvings believed to be around 5,000 years old. While sushi is absolutely a Japanese invention, they did not use salmon in the dish until it was suggested by a Norwegian delegation in 1980's. Despite the distance between the countries, Japan seemed a natural fit for Norwegian seafood. Japan's fish stocks were suffering from overfishing but demand from consumers was high. 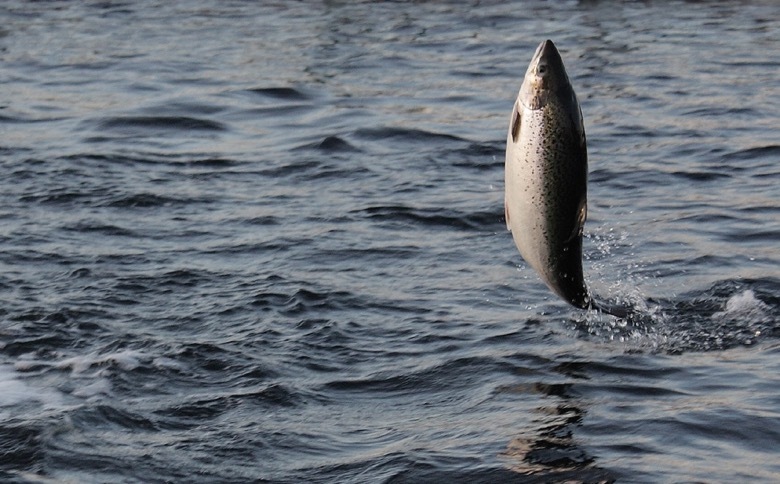 The deals created all those years ago have helped to boost Norwegian seafood exports. In Japan, Norwegian salmon sushi is one of the most popular dishes, especially among younger people. It took time to happen though, as the Japanese were originally concerned with the health impact of eating raw salmon. But they got over that, and Norwegian exports haven't looked back and seafood is now one of Norway's biggest industries. 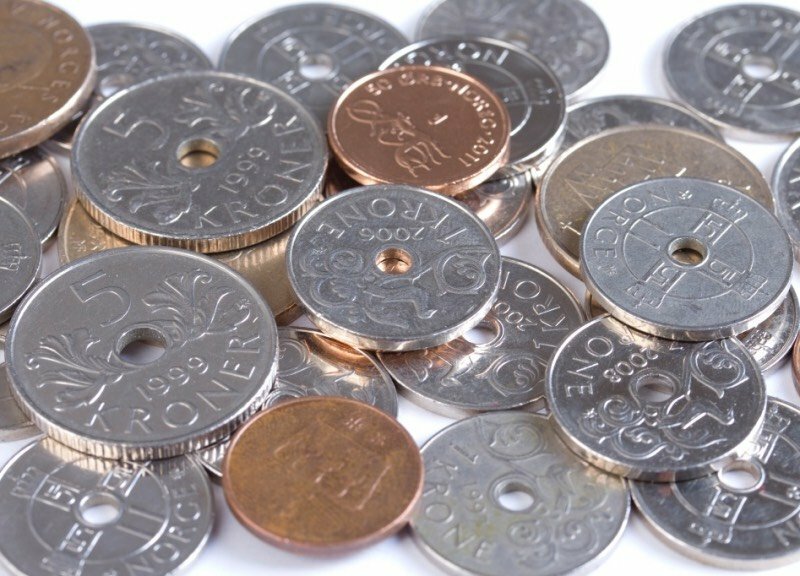 Everyone living in Norway has three figures taken from their annual tax return published: their annual income, income tax paid, and total wealth. Yes, really! Prior to 2013, this data was completely open and searchable by anyone. That has since changed though, and now a person is able to see who has looked up their own data. 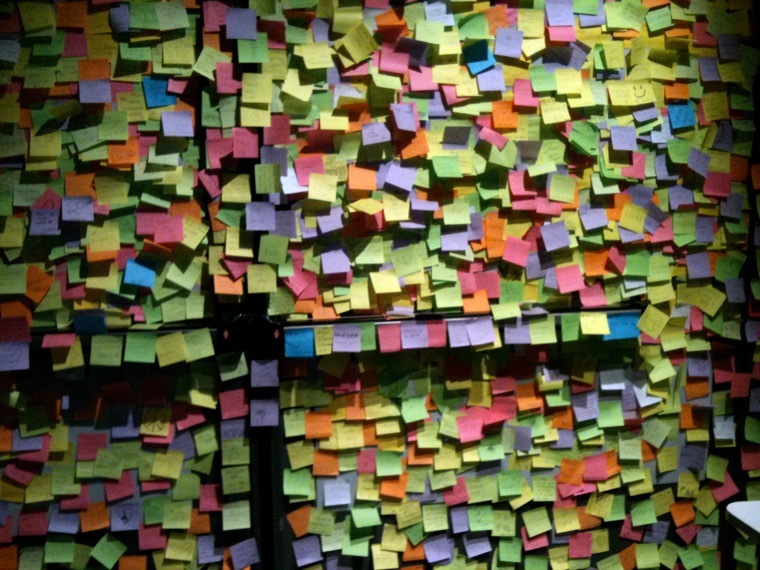 The thought behind this concept is that tax evasion becomes much more difficult to accomplish. If you're recording a low income and/or wealth but are driving around in a brand-new Tesla, the authorities are going to get suspicious. The open nature of this data is also one of the reasons why it's so easy for Norwegian media to come up with their annual lists of Norway's richest people and the country's biggest taxpayers. In fact, Norway was a founding member of the United Nations back in 1945, when 850 delegates from 50 nations met in San Francisco. Those delegates discussed the proposals worked out by the representatives from China, the Soviet Union, the United Kingdom and the United States from August to October the previous year. The pragmatic and determined Trygve Lie, who served as Norwegian Foreign Minister during the Second World War years of exile in London, took up the post as Secretary-General during the post-war years from 1946 to 1952. He passed away in 1968 at the age of 72. Today, with the 2011 addition of South Sudan, there are 193 UN member states, including all undisputed independent states apart from the Vatican City. The current – and ninth – Secretary-General is the Portuguese politician António Guterres. Or to be more precise, two written variants. 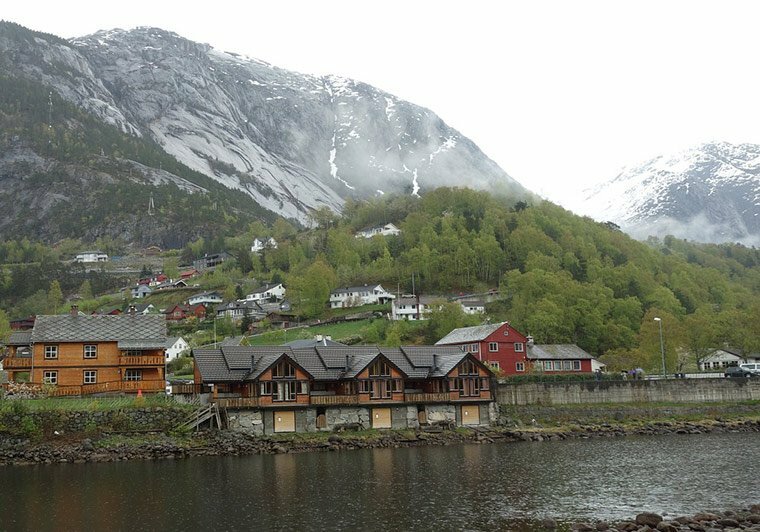 Bokmål is used by the vast majority of the country, while Nynorsk is more popular in rural areas, particularly in the western fjord region. All schoolchildren learn both, national broadcaster NRK publish news in both versions of the language, and all public authorities are required to offer forms and other documentation in both variants. This one should come as no surprise given the Norwegian obsession with skiing and their success at international level. Sondre Norheim is said to be the father of modern skiing. In the late 19th-century, he began using stiff ski bindings so he could swing and jump with less risk of falling. His new ski design – the Telemark ski – led to the modern skis we know and love. But skiing itself goes much further back. An ancient rock carving at Rødøy in northern Norway shows that people used a form of skis to get around in the Norwegian mountains as long ago as 4,000 years. Finnmark is home to the oldest preserved ski ever found, at an incredible 2,300-years old. To top it off, many Norwegian words including ski and slalom originated right here in Norway. Perhaps unsurprising given the facts above, Norway is the world's most successful nation at the Winter Olympic Games. Despite having little more than 5 million residents, Norway has won more medals than any other country in Olympic history. 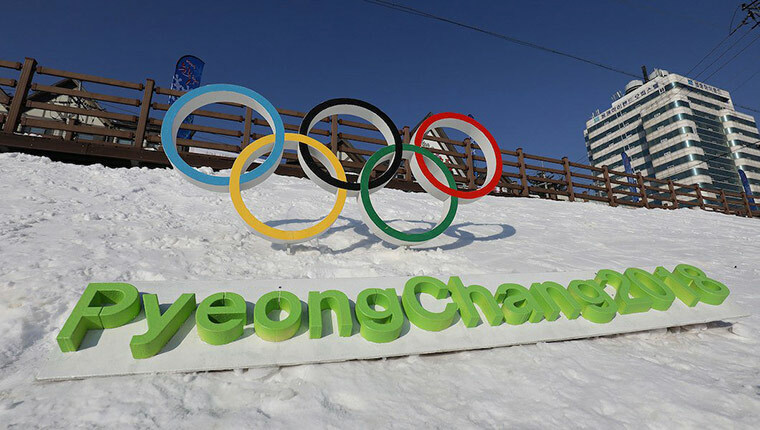 Following the 2018 games in South Korea, Norway's total medal haul stood at 368, including 132 golds, from the 23 competitions. Their closest rivals in the table are the United States (305/105) and Germany (238/92). The country hosted the event twice: In 1952 in Oslo, and in 1994 in Lillehammer. The legacy of the latter competition continues to this day, and the Norwegian Olympic Museum in Lillehammer is one of the country's most interesting museums. Another fun Olympic-related fact about Norway: King Olav V won an Olympic gold medal in sailing in 1928. He was an active sailor throughout his life and his reign. Although it may surprise you to learn they don't live in the Arctic! The herd roam Hardangervidda, Europe's biggest mountain plateau. 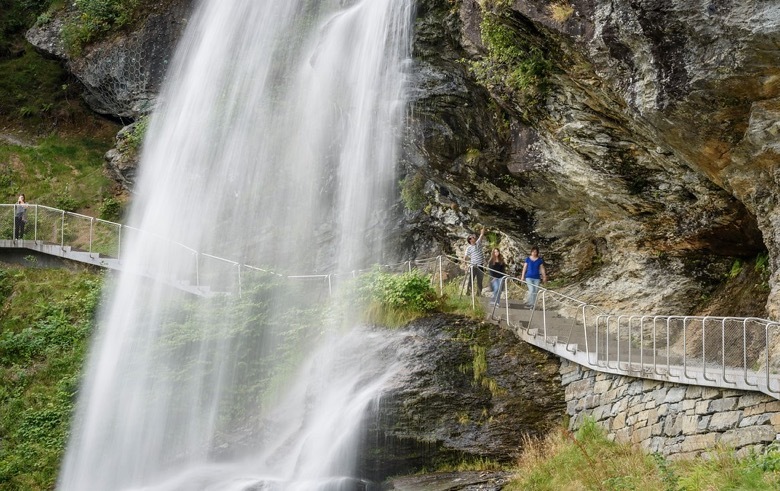 The National Park includes vast plateaus, lush valleys, high mountains, distant glaciers, waterfalls and stunning fjords. The number of wild reindeer in winter totals around 25,000 animals, of which up to 7,000 are found on Hardangervidda. For centuries, wild reindeer used to roam freely across Norway but as a result of extensive hunting, they were driven into the mountainous areas of south-central Norway in the late nineteenth century. 14. Norway has a volcano! But don't panic, it's nowhere near the country's biggest cities and won't impact Norway's mainland if it were to erupt. That's because Norway's only active volcano is on the island of Jan Mayen in the Norwegian Sea. It's about half-way between Norway and Greenland, north of Iceland, and is considered together with Svalbard for administrative purposes by the Government. 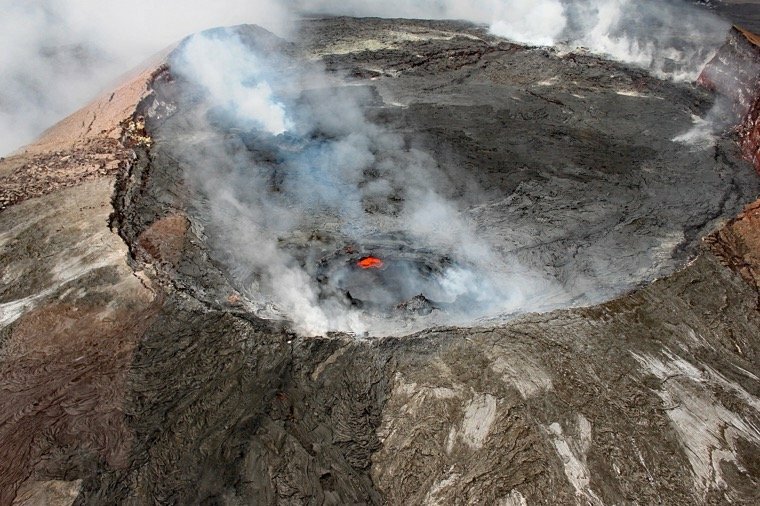 Although no permanent residents live anywhere near the 7,306 feet (2,227 m) Beerenberg volcano, research scientists regularly visit the island and even some cruise ships stop by. 15. Norway isn't called Norway! At least, not in Norwegian. Norway is the name of the country in the English language. In Norwegian, the country is called Norge. 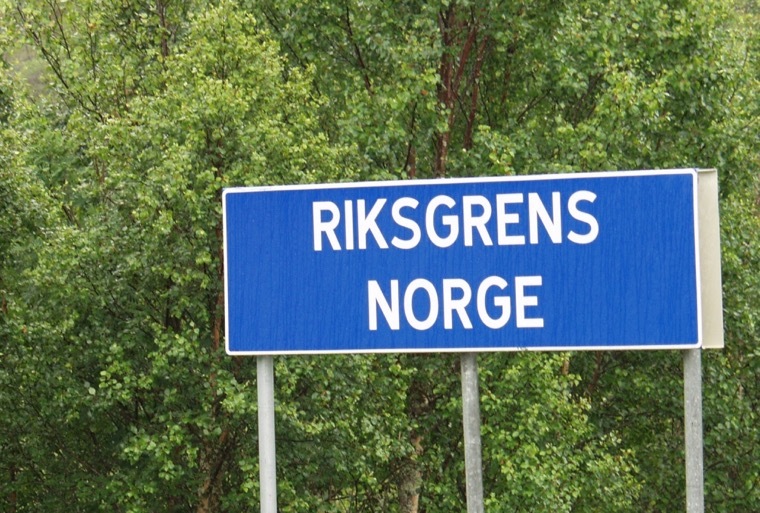 In the lesser-used nynorsk variety of Norwegian, the spelling is Noreg. In fact, the full name of the country is actually the Kingdom of Norway. In Norwegian, this is written as Kongeriket Norge, or Kongeriket Noreg in nynorsk. Other names for the country include Norwegen (Germany), Noruega (Spanish & Portuguesre), Norvegia (Italian), Norvège (French), and Norja (Finnish). Meanwhile, the Norwegian language is known in Norway as norsk. You're welcome, world! The cheese slicer was invented way back in 1925 by Thor Bjørklund and has become a staple of all Scandinavian kitchens, and many others around the world. While a lot of cheese is sold pre-sliced, many people still buy blocks of cheese and use the invention that has changed little in almost 100 years. Of the 648,000 people in Oslo, 190,000 were born to immigrants or are immigrants themselves. That's nearly 30% of the city's population, compared to around 15% in the country overall. The largest ethnic minority in Oslo is Pakistani, followed by immigrants from Sweden, Somalia, and Poland. The diversity of Oslo was among the many emerging topics addressed in the Norwegian TV youth drama Skam, which found fans across the world thanks to unofficial translations on YouTube. For many years, Oslo was Europe's fastest growing city in percentage terms, but that growth has begun to level off. During the first half of 2017, more people moved out of Oslo than moved in, for the first time in several years. Sure, Norway's oil and gas industry has powered the economy, but it doesn't power the nation's homes. Around 98% of Norway's domestic power usage is drawn from hydroelectric power plants. Although Norway is only ranked 9th globally based on the percentage of domestic power sourced from renewable sources, the country actually generates more electricity than all of the eight countries ranked above them – combined! While the Norwegian government says Norway will be carbon neutral by 2030, that only takes into account domestic emissions, and not the much larger amount embedded in its oil and gas exports. The government has also tightened energy-efficiency standards for buildings, and has encouraged firms and homeowners to burn wood and other forms of biomass for heat and power, instead of fossil fuels. Wait, what? Yes, you heard right. Brigadier Sir Nils Olav has held the title since 2005, but the involvement goes back to 1972 when the regiment adopted a penguin from Edinburgh Zoo, and to the zoo’s opening in 1913 when Norway presented it with its first king penguin. The name ‘Nils Olav' and ranks in the Norwegian military have been passed down through three king penguins since 1972. The current holder is Nils Olav III. It’s not as unique as you may think. William “Billy” Windsor (a goat) served in the British Army, while Syrian brown bear Wojtek was enlisted in the Polish army as a private, and subsequently promoted to corporal. 20. No-one knows how long Norway's coastline is! It's known throughout the world for its jagged mountains and stunning fjords, but believe it or not, no-one knows for sure just how long Norway's epic coast is. The somewhat counterintuitive observation that the coastline of a landmass does not have a well-defined length is known as the coastline paradox. Because of the fractal nature of a coastline, you can only define its length by using units of a specific length. When the unit length differs, the total length differs – and the difference can be massive. Stretching all the way from the Oslofjord down to the sunny south, in and out of the many western fjords and then stretching out for many, miles northward before bending around the top of the Scandinavian peninsular to meet with Russia, only one thing's for sure: It's very long! Arguably the best way to enjoy the Norwegian coastline – if you don't have your own boat that is – is by taking the full Hurtigruten coastal voyage from Bergen to Kirkenes and back again. On the 12-day voyage you'll get up close to some of the country's most iconic scenery. And it's not just any tree. To say thank you for their help during World War II, the city of Oslo sends Britain a tall Norwegian spruce from the Oslo forest, which is placed prominently in Trafalgar Square. The tree, decorated in a typical Norwegian style with white lights, provides a focal point for the carol-singing festivities that take place on the square throughout the Christmas period. Incredible amount of respect and care to the Penguin!